Fri. #2 is HERE. Please follow us on Tumblr or Twitter, subscribe to us on YouTube or like us on Facebook. Don't miss Impact Implosion later today! With the cheap plugs out of the way here's Saturday's latest news. The YouTube subpocalypse is for real and my YouTube channel could use your support. I need 1,000 subscribers to survive and it's at 517 subscribers right now, an increase from when the bad news broke, but I still need 483 more. While the revenue generated is small compared to a Game Grumps or a NoDQ it's still very much necessary to keep our operation running. Please subscribe to Mistah MegaManFan and help me out! In this interview Kota Ibushi talks about reuniting with Kenny Omega: "It ended once. So, this isn't us picking up where we left off, it's a completely new start. I'm excited to see what we can do as a team, now both of us heavyweight. I can't imagine a better tag team than us. At the same time, we spent this time apart, and did completely different things in those three years. How we'll do together after that time, how we'll gel, that's another part of it. We've taken such different routes. But I think there are New Japan fans that sense in a difference (in level) between us. 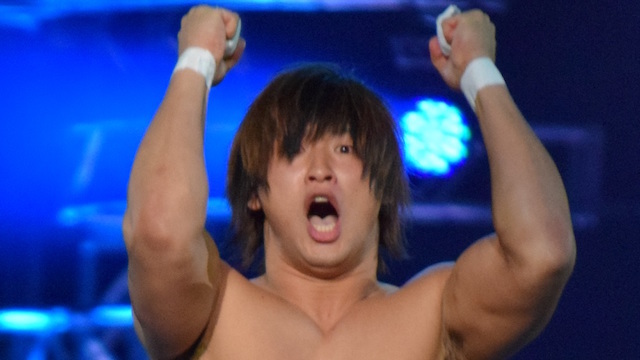 I'm the only one that really hasn't made a mark or gotten results in New Japan. I'm not looking to Kenny for help in that regard. That's on me to rectify. Of course, I want to team with him. But I'm still a singles wrestler. I want to make my mark as a singles wrestler. I want to make my mark as a singles wrestler. As a tag, I'm excited to see what happens, and no doubt, cool things will happen. 2018 just got really interesting." Here D-Von says the Dudley Boyz are underappreciated: "A lot of things we accomplished over the years seems like it wasn't recognized whether it was the promoters or the fans. I just felt like a lot of things we have done went unnoticed. Sometimes I feel like we weren't treated the way we should have been treated. We had to fight and scratch our way to the top. No matter what, no one was going to out perform us. Call it cockiness or whatever, but we were the greatest tag team of our time. I think going into the hall of fame will definitely prove that we were one of the greats and we should be in the same league as some of the wrestlers who came before us like the LOD." NWA has released a new video teasing Tim Storm's retirement. Five new WWE related videos are below. Here Chuck Taylor doesn't like the Young Bucks questioning his friendship with Trent Barreta: "It makes me want to punch them in their dumb little faces to question our friendship like that. I would never go in and question their brotherhood. It's obvious that they look enough alike and are brothers. I think it's also obvious that Trent and I are the best friends in the whole universe." Here Stephanie McMahon talks about Make-A-Wish: "WWE is the most unique form of content in the world, we are a global media company and I think as long as long as we are fulfilling our mission of putting smiles on people's faces world over, I think that is our greatest gift. To be able to help a child who is sick, make them forget that they are sick, even for a couple of hours watching the show and give that gift to their parents, to see that joy on their child's face and even not so serious, just someone who is having a really hard day and can escape into the story telling and fun of WWE."